Growing up I paid no mind to the moon. I did not feel its pull or calling. I think I was too busy being in love with the sun (needed that tan you know!) which makes sense since it represents ego and the material world. Fast forward many (unnumbered) years and now I am in love with the moon too! I know there is some scientific explanation for the full moon phase and its position in the solar system but I don’t really give a care about that. To me the Full Moon is a time of amplification of feelings and sensuality, a time to find and express your true essence. To wit it is the perfect time for following your bliss! If you use Crystals (and I highly recommend that you do!) then this is a perfect time to cleanse and refresh them through the natural lunar energy. Simply put them either on a window sill receiving the moon’s light or even better place them outside in direct rays overnight. Be sure to collect them in the morning before the sun gets too powerful because the sun’s rays will sap the life out of them. Declutter your physical space by ridding yourself of junk and/or things you haven’t worn or used in 6 months or more. Donate these items to a charity for added benefit. Declutter your energetic space by burning some incense or sage in your home, workspace, car, etc., take an epsom salt bath, ring some bells/chimes in your spaces and absorb the sound. Consider also completing a food fast and or doing a detox for the day or week of the full moon. If you’re new to meditation see this. Choose one type of meditation and bring it outside under the full moon. You can simply inhale the moon’s energy and let it warm you and open your heart and as you exhale connect yourself further to the earth. If it’s warm where you are, sitting on the ground is ideal or if you’re doing walking meditation walk barefoot! If it’s wintery weather maybe sit inside at a window with moon light streaming in or do a more active meditation outside like Breath of Joy. Dance to your choice of music (Classic Moon Tunes: Cat Steven’s Moon Shadow or Neil Young’s Harvest Moon or Van Morrison’s Dancing in the Moonlight, Bad Moon Rising by CCR) Whatever moves you will do. Consider also dancing to night’s nature sounds: the crackle of leaves and branches , the hoot of owls, howl of coyotes or even silence. Move freely, let go and be wild! Another option if it’s warm is to dance naked. There’s really nothing more free feeling than this! Finally ‘dancing’ with a friend amorously under the full moon is exquisite. Forgive yourself and forgive others. Write down on a paper something you feel guilty for or some anger or grudge you hold. Hold those feelings for a moment and ask the moon to help you release and let go these feelings/situations that are not serving you. Burn the paper in a fire and as you watch it burn say goodbye to these unhelpful feelings. Let them transmute into ash. One other thing I like to do after this is to Howl at the Moon! Try it! When I do my howling I am thanking the moon and other forces for assisting me in moving forward and/or I am releasing more of the feelings I just burned. May I dwell in safety. Move on then to someone you love and send this prayer to them using their name – May “name” dwell in safety, etc. Next send it to someone who pushes your buttons! And finally send the prayer to all human beings or all sentient beings whichever seems right for you. Simply sit directly under the moon and absorb whatever it is sending you. It is helpful to be in a calm state to absorb this energy so perhaps take a few deep breaths or a few minutes watching your breath and then communicate with Mother Moon in whatever way that feels right for you. Stay open! Write your wish or intention on a piece of paper and put it in a small wish jar. I like to use clear glass. Set the jar out in the moonlight and let the moon do its magic. Take the jar in in the morning and put it away until the next full moon when you can revisit your original wish/intention and note any progress. Re-do it if necessary. You can just bathe in the moon rays either clothed or naked or actually take a bath with water and moon rays. For this you can use a sprinkler, hose or my favorite – a kiddie pool! So fun and purifying. Get clean! Get creative! Listen to your gut and go with it. Each time I do my own ceremony I add something new as the spirit moves me. Think about banging a drum or other percussion instrument, dance, yell, use fire, do yoga, sleep outside, etc. Pick one or 2 of these activities that call to you, give them a try and let me know how you make out. Most important is to feel creative and FREE! Receive My Blog Posts: Click the ‘Follow’ Button in the Side Bar. Visit Me On Social Sites! Book Your Reiki Session Here & Your Life Coaching Session Here. Got Carbohydrate Cravings? Squelch ‘Em! Ooh. Don’t you hate me for posting these tempting pictures?! They’re even making me drool and I’ve been off carbs for years now. For a good part of my young adult/adult life I had intense cravings for chocolate. At some point it was totally out of control and very unhealthy so I decided to take control. You can do the same for your carb cravings! I researched, experimented and voila’ I have been craving free for 10 years! Taking Magnesium supplements was the key for me. Read on to learn about your solution(s). Before you try any of the following remedies you will of course want to run it by your Doctor and make sure you are clear of more serious conditions that can also cause cravings such as hormone imbalances, hypoglycemia, diabetes, etc. The Following are some natural remedies that have worked to diminish or eliminate carbohydrate cravings for me & my clients. In addition to trying some of these supplements it is always a good idea to do a food intake cleanse before you begin a new regime. Spring is the perfect time to try one. See this article for cleansing suggestions/information. Eat ‘clean’ whole foods (organic if possible): fruits, veggies, lean proteins, legumes, certain grains . Exercise regularly in whatever form moves you. (pun intended). Get as much sleep/rest as you can. Read here for tips to better sleep. Manage stress by utilizing mind-body techniques: Reiki, Yoga, Breathing Exercises. Try Aromatherapy with Essential Oils Peppermint and/or Bergamot. One final thing to consider is, “What are these cravings trying to say to you?” If they stem from emotional issues in addition to chemical issues then these cravings may subside with the above attention but may get transferred over to another type of addiction. It can get complicated so it is helpful to be aware and in touch with possible emotional causes. As with every other goal you work toward in your life, you must truly be ready and open to change and be dedicated to the journey despite the possibly bumpy road. 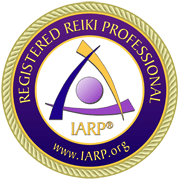 Along with supplements, Reiki, Yoga and Life Coaching can support your work and I’m happy to help guide you on your Journey to Health with these methods! As always, I’m happy to answer any question and please let me know if you have success with these or any other methods in curbing carb cravings. Receive My Newsletter: Health & Happiness! Spring Cleaning For Your Body! I’m so excited that it’s almost spring! This is a time where we typically begin to clean our houses and cars to get rid of the junk and excess we’ve stored over the winter and bring some fresh air into our lives. It makes sense also to consider cleansing our bodies at this time. All winter we lean toward comfort foods which tend to be greasy and heavy and generally not healthy! Gimme’ the Cheetos & Chocolate please! It’s hard to desire a cold glass of orange juice or a ‘refreshing’ salad on a day just barely reaching 20F! The weather is warming so now’s the perfect time to purge. In addition to poor eating, our environment has become increasingly contaminated with toxic substances such as pesticides, industrial chemicals and heavy metals. And our fast-paced lifestyle has stressed our body’s natural abilities of detoxification. Our bodies are exposed to such a heavy load of toxins it is impossible to eliminate them without assistance. There are many ways to go about this beneficial process. I try to do a cleanse somehow every few months. Those of you who know me know that I love food. It’s a sensual pleasure and I do not like giving it up so I am not a big fan of total fasting but I’ve done it and it works to some degree. This looks something like: no food for at least one day and maybe up to 3! You would drink lots of water, some juices, teas and organic broth. Colonics & Laxatives. These are a no for me. I’ve not tried them. From what I know about them, they are incomplete in detoxing since they do not provide the protein, fiber, vitamins and minerals needed to support the full process. The method that works best for me is the kit option. There are many available which allow you to eat whole foods (organic fruits, vegetables, and meats) while you take tablets or drinks of natural products that encourage elimination/detoxification. I’ve seen them range from a 7 day program to a 1 month program and from $25.00 to $200.00. A very gentle Cleanse which is good for first timers is : Renew Life First Cleanse. This month I am trying a 7-Day Arbonne Cleanse which is a 32 ounce beverage full of cleansing supplements and herbs daily while eating whole/clean foods. I’ll be glad to share my results when I”m done. The cost is about $50.00. Also I’m offering a 2 hour Detox Workshop in which we will explore these poses and others as well as sample some super foods/smoothies/teas. Get more information here. Sign up here. It’s approximately 25 minutes in length and offers a watery background which I like for cleansing. They Heal & Detoxify, Strengthen Immune System, Cleanse the Blood, Help with Addictions, Stimulate Metabolism, Help Chronic Illness Recovery. Hold them, meditate with them, wear them, place them around you and your home, sleep with them under your pillow. Enhance the health of your body, mind & spirit by trying one or more of these detox techniques! Spring Clean and you will feel and look refreshed and healthy! p.s. I assume you know that between cleanses you should be eating organic whenever possible, using the microwave as little as possible, never be heating plastic wrap and never be drinking from containers made of plastic?! Learn more clean living tips at the Detox Workshop.